Given their dominance of the Premier League this season, the last week has been a shock to the system for Pep Guardiola and his Manchester City side – losing three consecutive games, failing to win the Title at Old Trafford and crashing out of the Champions League with a humiliating 5-1 aggregate score against Liverpool. While Guardiola's anger at the refereeing decisions is clear to see and could be just the psychological fuel that City need to take their fury out on Tottenham, the visit to Wembley on April 14 looks another tough assignment. Tottenham are the Premier League's in-form side and it could pay to bet on them taking a point from City when the sides kick-off at 7.45pm on Saturday. Despite their agonising defeat in the Champions League against Juventus, Tottenham remain one of the form sides in Europe – and backing them has frequently rewarded bettors both home and away this season. In the post-Christmas league table, Spurs are top, having picked up 36 points from 14 games, without defeat. City, meanwhile, sit in third on 32 points, having won 10, drawn two and lost two (Liverpool are second with 33 points). The strength of Spurs at home can be seen by the fact they're slight 6/4 favourites at top bookies for the City match. Mauricio Pochettino's side have also won six games in a row in the league, making City's trip to Wembley all the more intriguing from a football betting perspective. The statistics from the last two Premier League seasons also demonstrate what a fortress Wembley has become for Tottenham. In season 2016/17 the team played 19, won 17, drew two and lost no games at home, picking up 53 points. This season, they have currently played 15, won 10, drawn 4 and lost just once (1-2 against Chelsea). Given the period that Manchester City have had includes three back-to-back defeats, a shocking Manchester derby loss, Champions League elimination, refereeing angst and a build-up of fatigue, the trip to London is hardly an enticing prospect. 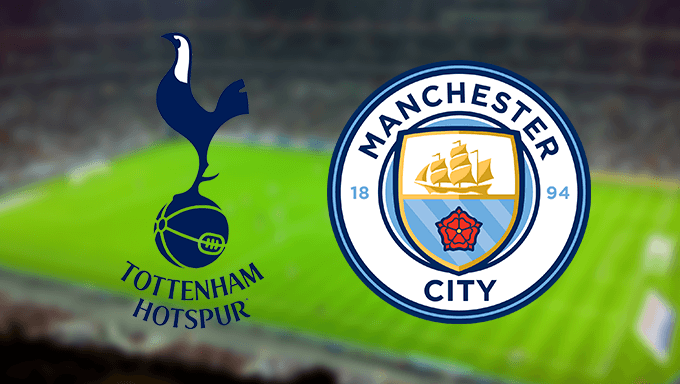 It's therefore an astute call to think that Tottenham will get something from the game – but backing the draw at 13/5 with BetBright appeals most, given City's overall profile and chronic need to display some bounce-back ability. Betting earlier in the season, and even right up until the last week, you would have been a brave person to predict that Manchester City would lose three games in a row. And if they lose to Spurs, you can make that four! However, despite a week of woe, it's fair to say that City haven't had much luck, particularly Leroy Sané's (arguably dubiously) disallowed goal in the 2nd leg against on Tuesday night, which may have completely changed the nature of the game. City will be intent on not losing four in a row, which would take away the gloss of what at one point, looked a stellar season in the making. The appeal of the draw can be seen with the sides' relative home and away form this season. Away from home in the League, Man City have won 13, drawn two and lost one, while Tottenham at home have won 10, drawn four and lost one. In essence, both sides have been hard to beat and that could well play into the hands of betting on the draw markets. Punters looking for better value can look at Manchester City's draw results this season for viable betting hints; the side have drawn five games in all competitions, which all finished either 0-0 or 1-1. The 0-0 score can be backed at 14/1 and 1-1 at 7/1 with Black Type, offering good odds and potential cash-out opportunities for punters who like to trade. It's going to take a complete capitulation for Manchester City to not lift the Premier League trophy in the next few weeks, with a maximum of six points needed to win the title. But Tottenham are predicted to stall them from taking another three points in what could turn out to be a stalemate clash. Guardiola's men are sure to want to avoid further humiliation and Spurs are looking to protect their unbeaten 2018 run. Back a Tottenham versus Manchester City draw at 13/5 with Paddy Power.